The Arms roster has been updated with three new characters. Now, the upcoming Nintendo Switch 3D fighting game has 10 characters in total. The 3 new fighters were introduced during a Nintendo Direct presentation on Wednesday. It is different from a standard fist-fighting game as up to four players can choose a fight and fight with a variety of expandable arms. The distance doesn’t matter as the arms can stretch up to the extreme ends of the ring. It can be played on can be played on split-screens, online or with Switch vs Switch. With characters, players can select the two arms with different types. It can range from standard fists to stuff like boomerrangs and missiles. The game provides a wide range of oppotunity from a wide variety of close- and long-range attacks, as well as offensive and defensive options. Types – There will be dozens of arms each with its own special power and handling ability. The types range from the Toaster to the Tribolt. Some may even boost defense, like the Guardian. Attributes – Seven different attibutes will be available each with its own specialty: Fire, Electricity, Wind, Ice, Stun, Explosion, and Blind. Weight – Mixing attibutes and types of arms changes which in turn affects momentum. Stronger ARMS are more powerful but slower, while multi-hit ARMS are quick but have lower individual power. Upgrade ARMS – During play, the players can use hard-earned in-game currency to earn new and upgrade previously owned ones. Fight – This is the main multiplayer* mode, two fighters battle against each other one-on-one to claim victory. Team Fight – Two players are attached by strings and must team up to battle another team of two. Attacks can hit allies. V-Ball – It is a sport that involves knocking an explosive ball into the opponent’s court. Hoops – Grab opponents and shoot them into the net (or even dunk them for extra satisfaction). In the future, Nintendo will release free software updates that add new fighters, stages, and ARMS to the game. These free updates will occur after the game launches, so watch for additional details! 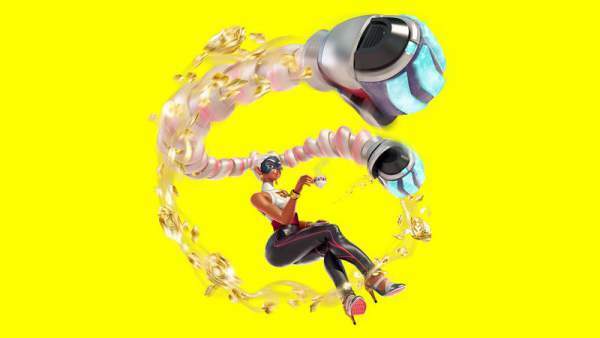 Appearance & Personality: First of them is the movie star Twintelle whose arms comes out of her head and not her shoulders. These springs kinda fists at the end of appendages take the form of silver and pink hair. Twintelle attire includes heels with sneaker soles and black leather pants and appears like Arms’ Bayonetta. Ability: Her charging up slows down the attacks of opponents. Appearance & Personality: He wears parachute pants and has two fists named – The Slamamander and Hydra. Abilities: With his default fist, he can slither along the ground and sends three vertically aligned bullets toward foes. The Slamamander fist helps a lot in movement and allows him to slide sideways. Appearance & Personality: It is a combination of a blue robot and his dog faced robot buddy. 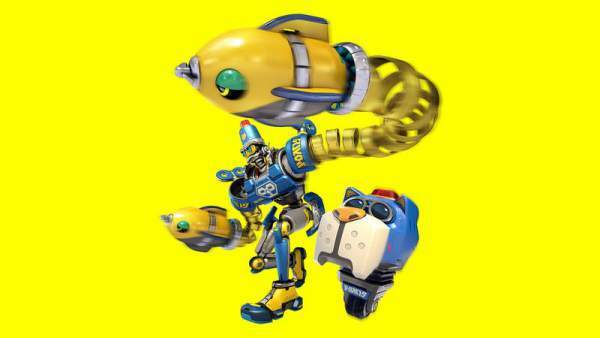 Ability: Barq attack opponents on his own. Byte can use his dog to launch himself into the air. The pair teams up for a special attack. The default fist – Seekie, uses heat-seeking missiles to attack enemies. Spring Man has blue hair stylized like a spring and blue eyes. He wears a red and white tank top with his logo in the center and his ARMS are composed of springs. He is able to deflect attacks and is able to have his punch constantly charged when his life bar drop below 25%. An incredible determination as a fighter. Min Min has green eyes as well as short blond noodle-like hair with an orange cap as well as an orange mask covering the top of her face. She has ramen arms and is depicted with the Dragon Arm in official images which she can charge to look like the body of a dragon. Min Min is able to deflect enemy’s punches by kicking them if she dodges while being mid-air. She can use both her hands and legs during a fight. Helix is an anthropomorphic being made of a slimy substance, his arms have the looks of a double helix, the shape of the DNA molecule. Helix seems to have eyes made of LED lights. 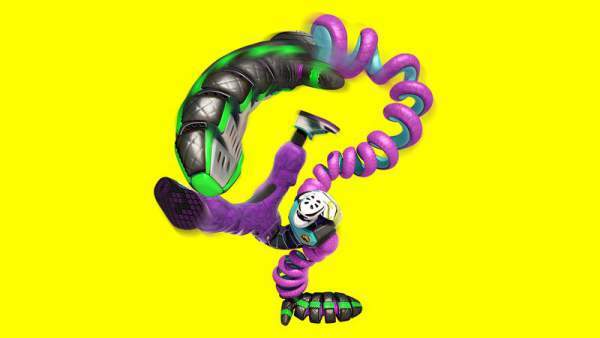 Helix’s elastic body allows him to shrink and stretch at will, allowing him to dodge all types of attacks, including special attacks. Ribbon girl has blue eyes and blond hair, both her hair and her hands are Ribbon like and has a pink mask on the top of her face. She is said to love singing and her fans. She is a pop ideal in the ARMS world. While most characters are able to jump two times, Ribbon Girl is able to jump four times. Weight: As much as her fans think! Ninjara has green hair as well as red eyes, he is wearing a Ninja suit and a mask on the top half of his face. His arms are made of chains. Ninjara is said to be a serious and dedicated man. Every time Ninjara dashes or block an attack, he will disappear with a smoke bomb for a second allowing him to counterattack. She is expert in ninja fighting style. As his name indicate, Master Mummy is inspired by the Egyptian mummies and as such, he has his entire body covered by bandages and even his arm made of bandages. Master Mummy also have purple skin and red eyes. He seems to be to be an undead and his personal information states that he loves being with his family. Master Mummy has multiple known abilities such as taking nearly no knockback from normal punches and being able to regenerate when guarding but he is also one of the slowest characters of ARMS. The heaviest character in the game. Mechanica have brown hair and magenta eyes. She fights wearing a huge robotic suit because she is scared of fighting without it. She is the only ARM fighter to have normal hands. She is also a huge fan of other fighters, Ribbon Girl in particular. Due to her robotic armor, Mechanica is able to hover for a few seconds and it is harder to stun her. It releases on June 16, 2017, on the Nintendo Switch. A punch results in an opening that gets bigger with greater distance. Hitting the opponent’s arms does not do much damage but it can stun their arms which create an opening. Stunning of arms can also be done with certain Arms that either is more powerful or have a stunning property. There are 2-on-2 matches in addition to 1-on-1. Each player holds a Joy-Con in each hand. Tilting in a direction moves the character in that direction. L is a dash, and R is a jump. The punching is done through thrusting forward a Joy-Con and thrusting both forward performs a grab. Pressing ZL or ZR allowing the fighter to start a Flurry Attack by repeatedly punching the opponent. There are stationary controls but they have not been revealed. Watch the gameplay in the video available below. Three more characters added to the roster on May 17. The demo will follow a similar model to the demos for Splatoon and Splatoon 2. It will be available from May 26 to 28 and then, again from June 2-4. 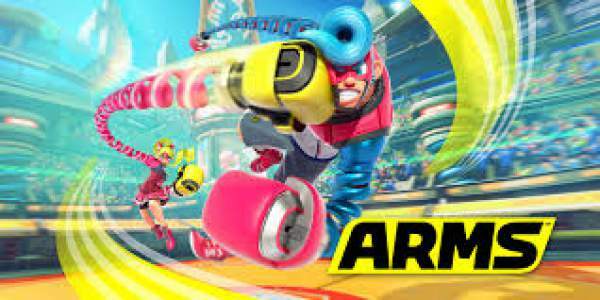 Stay tuned to The ReporterTimes for latest ARMS news and other Nintendo Switch games‘ updates.